State of the art inspections require state of the art tools. When the best tools are combined with our experience, techniques, and information technogy - our customers get the highest quality reports available anywhere - at any price. 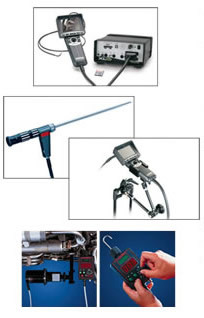 We utilize three of the indutry's best inspection technology platforms. The General Electric Inspection Technologies XLG3, is today's most capable video borescope, the XLG3 features QuickChange probes that quickly reconfigure probe diameter and length. 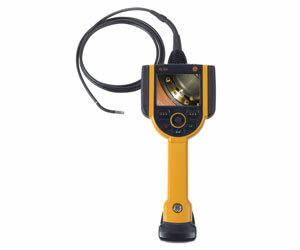 The XLGo defines video borescope inspection. No cords, no boxes - just outstanding image quality in an incredibly rugged and portable package. XL PRO™ Plus VideoProbe® systems provides a high-performance video borescopes in a compact, portable, enclosure. The XL PRO Plus features full-motion MPEG2 video recording onto a CompactFlash® card, StereoProbe® and ShadowProbe® defect measurement capability, and an integrated temperature warning system. 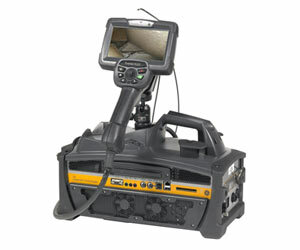 As one of the most flexible, remote visual inspection (RVI) tools on the market, they feature interchangeable probes available in a wide selection of diameters and lengths, a color LCD, All-Way® joystick articulation and brilliant, metal-halide illumination to shed light into the deepest, darkest spaces and corners. Six interchangeable probe diameters from 3.9mm to 8.4mm (0.153 in. to 0.331 in. ), Interchangeable tip optics with user selectable direction-of-view (DOV), field-of-view (FOV), and depth of field (DOF) specifications. Rhinestahl Corporation’s fully programmable FutureDrive® electronic turning tool automates the engine rotor shaft positioning process, leading to the most efficient, easiest-to-perform borescope inspection possible. Move blades automatically or manually in any stage in any order. The control makes it easy to flag damaged blades for future reinspection. Audible feedback is provided for fail-safe operation.